CIT-IV vs. Shah Alloys Ltd.
K.S. Jhaveri And G.R. Udhwani, JJ. KS Jhaveri, J. – Since the common questions of law arise in this group of appeals, they are being heard and decided together by this common oral judgment. “[A] Whether the Appellate Tribunal is right in law and on facts in allowing the claim of deduction u/s.80IA on the interest amounting to Rs.86,66,390/- received on margin money? 5. The facts of the case are that the AO made certain additions viz., disallowance of claim of deduction under Section 80IA on interest amounting to Rs.76,90,674/- received on margin money on the ground that the same is not derived from an industrial undertaking and is not eligible for deduction; disallowance of claim of deduction u/s. 80IA on profit without accounting for the loss suffered in Plate Mill against the profit earned in general unit and power unit. The AO also allowed the claim after setting off of loss against the profit earned. The AO also disallowed the claim of depreciation on plant and machinery purchased for want of bills. 6. The appeal was preferred by the assessee before the CIT (A), where the order of the AO came to be confirmed. Thereafter, the matter was carried before the Tribunal, which had reversed the order of the CIT (A) in respect of the disallowance of deduction u/s. 80IA on interest, as also in respect of disallowance of depreciation on plant and machinery; whereas allowance of deduction u/s. 80IA after setting off of loss against profit has been confirmed. 7. Learned Counsel appearing for the department contended that the order passed by the AO as well as the CIT (A) are just and proper and in view of the decision reported in case of Pandian Chemicals Ltd. v. CIT  262 ITR 278/129 Taxman 539 (SC) and in view of the decision in case of K. Ravindranathan Nair v. Dy. CIT  262 ITR 669/129 Taxman 811 (Ker. ), the difference between the terms “income derived from industrial undertaking” “income attributable to an industrial undertaking” and “income derived from any business of industrial undertaking” have been defined. He has also contended that both the authorities have rightly held that the interest received on margin money is not derived from the industrial undertaking and was therefore not eligible for deduction under Section 80IA of the Act. He has therefore contended that the order of the Tribunal may be quashed and set aside and the issue may be answered in favour of the department. 27. In so far as Question No.2 is concerned, according to the Tribunal Section 80I of the Act uses the phrase ‘derived from’ and hence the interest received by the assessee from its trade debtors cannot be taken into consideration for the purpose of computing profits derived from an industrial undertaking. The Tribunal has failed to appreciate that it is not the case of the assessing officer that the interest income is not assessable under the head ‘profits and gains of business’. It is only while computing relief under section 80I of the Act that the revenue changes its stand. When one reads the opening portion of section 80I of the Act it is clear that words used are : gross total income of an assessee includes any profits and gains derived from an industrial undertaking. Once this is the position then, in computing the total income of the assessee, a deduction from such profits and gains of an amount equal to the prescribed percentage is to be allowed. That, in fact the gross total income of the assessee included profits and gains from such business, and this is apparent on a plain glance at the computation in the assessment order. Both in relation to Vatva unit and Mandali unit the computation commences by taking profit as per statement of income filed alongwith return of income. Therefore, the same item of receipt cannot be treated differently : once while computing the gross total income, and secondly, at the time of computing deduction under section 80I of the Act. Therefore, on this limited count alone the order of the Tribunal, suffers from a basic fallacy resulting in an error in law and on facts. The Tribunal instead of recording findings on facts proceeded to discuss law. This litigation could have been avoided if the parties had invited attention to basic facts. 80HH. Deduction in respect of profits and gains from newly established industrial undertakings or hotel business in backward areas (1) Where the gross total income of an assessee includes any profits and gains derived from an industrial undertaking, or the business of a hotel, to which this section applies, there shall, in accordance with and subject to the provisions of this section, be allowed, in computing the total income of the assessee, a deduction from such profits and gains of an amount equal to twenty per cent thereof. (iv) it employs ten or more workers in a manufacturing process carried on with the aid of power, or employs twenty or more workers in a manufacturing process carried on without the aid of power. Explanation.- Where any machinery or plant or any part thereof previously used for any purpose in any backward area is transferred to a new business in that area or in any other backward area and the total value of the machinery or plant or part so transferred does not exceed twenty per cent of the total value of the machinery or plant used in the business, then, for the purposes of clause (iii) of this sub- section, the condition specified therein shall be deemed to have been fulfilled. (iii) the hotel is for the time being approved for the purposes of this sub- section by the Central Government. (ii) in the case of the business of a hotel which has started functioning, after the 31st day of December, 1970 , but before the 1st day of April, 1973, this sub- section shall have effect as if the reference to ten assessment years were a reference to ten assessment years as reduced by the number of assessment years which expired before the 1st day of April, 1974 . (6) Where any goods held for the purposes of the business of the industrial under- taking or the hotel are transferred to any other business carried on by the assessee, or where any goods held for the purposes of any other business carried on by the assessee are transferred to the business of the industrial under- taking or the hotel and, in either case, the consideration, if any, for such transfer as recorded in the accounts of the business of the industrial undertaking or the hotel does not correspond to the market value of such goods as on the date of the transfer, then, for the purposes of the deduction under this section, the profits and gains of the industrial undertaking or the business of the hotel shall be computed as if the transfer, in either case, had been made at the market value of such goods as on that date: Provided that where, in the opinion of the Assessing] Officer, the computation of the profits and gains of the industrial undertaking or the business of the hotel in the manner hereinbefore specified presents exceptional difficulties, the Assessing] Officer may compute such profits and gains on such reasonable basis as he may deem fit. Explanation.- In this sub- section,” market value” in relation to any goods means the price that such goods would ordinarily fetch on sale in the open market. (7) Where it appears to the Assessing] Officer that, owing to the close connection between the assessee carrying on the business of the industrial undertaking or the hotel to which this section applies and any other- person, or for any other reason, the course of business between them is so arranged that the business transacted between them produces to the assessee more than the ordinary profits which might be expected to arise in the business of the industrial undertaking or the hotel, the Assessing Officer shall, in computing the profits and gains of the industrial undertaking or the hotel for the purposes of the deduction under this section, take the amount of profits as may be reasonably deemed to have been derived therefrom. (11) For the purposes of this section,” backward area” means such area as the Central Government may, having regard to the stage of development of that area, by notification 3 in the Official Gazette, specify in this behalf: Provided that any notification under this sub- section may be issued so as to have retrospective effect to a date not earlier than the 1st day of April, 1983. Section 80-I(1). – In the case of a company to which this section applies, where the gross total income includes any profits and gains attributable to any priority industry, there shall be allowed, in accordance with and subject to the provisions of this section, a deduction from such profits and gains of an amount equal to eight per cent. thereof, in computing the total income of the company. 7. In view of the above decision, we are of the opinion that the Tribunal has erred in reducing the other income received by the appellant as the entire income is incidental to manufacturing activities and therefore the deduction under section 80-I is required to be allowed on the gross total income before deduction of 80-HHA and income from others. Therefore, question no. 1 in Tax Appeals Nos. 186 of 2003 and 371 of 2002 is required to be answered in the affirmative i.e. in favour of the assessee and against the revenue. 8. So far as question no. 2 of Tax Appeal Nos. 186 of 2003 and 371 of 2002 is concerned, the institution with which the assessee was carrying on business is required to be borne in mind. The interest from Bajaj Institution has direct nexus with the business and therefore the interest is required to be considered as derived from business. Question no. 2 is therefore answered in the affirmative i.e. in favour of the assessee and against the revenue. 2. In the present case, the assessee had deposited money to open a letter of credit for the purchase of the machinery required for setting up its plant in terms of the assessees agreement with the supplier. It was on the money so deposited that some interest has been earned. This is, therefore, not a case where any surplus share capital money which is lying idle has been deposited in the bank for the purpose of earning interest. The deposit of money in the present case is directly linked with the purchase of plant and machinery. Int his view of the matter the ratio laid down by this Court in Tuticorin Alkali Chemicals & Fertilizers Ltd. v. CIT  227 ITR 172 will not be attracted. The more appropriate decision in the factual situation in the present case is in CIT v. Bokaro Steel Ltd.  236 ITR 315 (SC). The appeal is dismissed. There will be no order as to costs. 13. In the present case, the assessee’s stand has consistently been that due to insistence of the financial institutions, the assessee was compelled to park certain amount in fixed deposits from which it earned interest of 12 per cent, whereas the market rent at the relevant time was higher. Such interest income was utilized for the purpose of assessee’s business by purchasing new machinery. 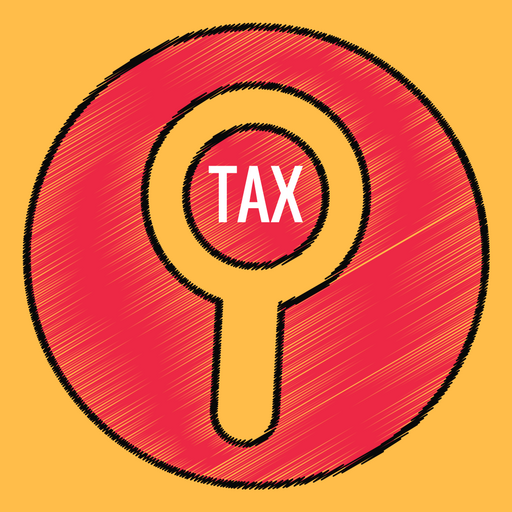 In short, the assessee contended that such income cannot be treated as income from other sources, but must be seen as part of the assessee’s business income. 15. In view of the exercise already undertaken by the Delhi High Court in the case of Jaypee DSC Ventures Ltd (supra), we may not separately refer to in detail the facts and ratio of the various decisions of the Supreme Court, noted above. Suffice it to conclude, in the present case also, the assessee was compelled to park a part of its funds in fixed deposits under the insistence of the financial institutions. On such funds, the assessee received interest. Such income cannot be treated as income from other sources and must be seen as part of the assessee’s business of manufacturing and selling of chemicals. The decision of the Apex Court in the case of Pandian Chemicals Ltd. (supra) would not be applicable. In the said case, the Apex Court was interpreting the phrase ‘derived from’ used in section 80HH of the Act. It was in this background that the Apex Court held that the words ‘derived from’ must be understood as something which has a direct or immediate nexus with the assessee’s industrial undertaking. It was on that basis that the Apex Court held that interest derived by the industrial undertaking of the assessee on deposits made with the Electricity Board for the supply of electricity for running the industrial undertaking could not be said to flow directly from the industrial undertaking. 10. Having heard the learned Counsel for the parties and having gone through the findings recorded by the Tribunal as afore-stated and considering the fact that the issue has been decided by this Court, we are of the opinion that there is no need to assign detail reasons and while adopting the reasons as afore-stated, this group of appeals deserve to be dismissed and accordingly all these appeals are dismissed and issues are answered in favour of the assessee and against the Department. This entry was posted in Section 56, Section 80-IA and tagged 396 ITR, business income vs income from other sources, deduction u/s 80IA, Gujarat High Court, In favour of Assessee.